Little Smokies in BBQ Sauce make an amazing little appetizer for many occasions. 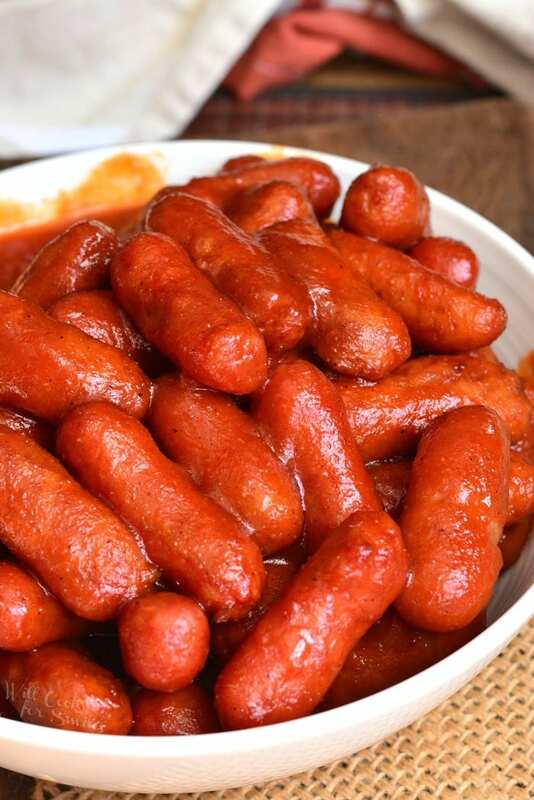 These little sausages are to tasty and simple cooked in a homemade BBQ sauce. 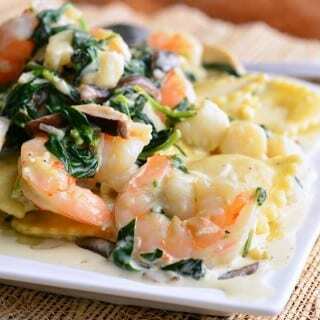 Make it quickly and easily on stove-top or in a crock pot. 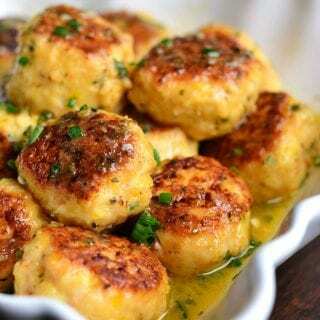 Besides meatballs, these bite-sized sausages are my favorite appetizers to serve at a party. Not just at a party, I like to snack on them anytime too. 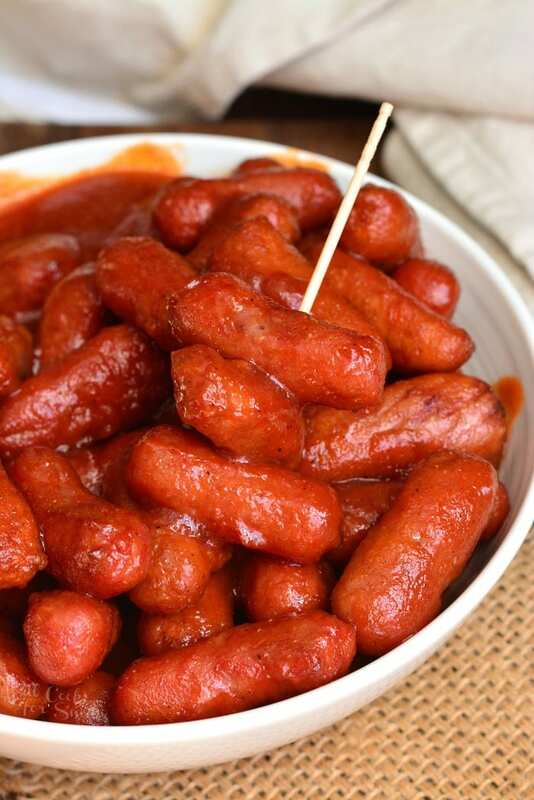 The best and the most simple way to serve little smokies sausages is to cook them in sauce. 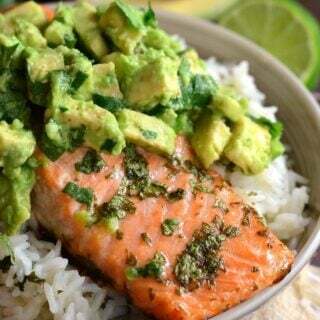 BBQ sauce is the favorite for most people but you can always get adventurous and variate the flavors. Some other ways to cook these sausages is to wrap them in bacon and roast in the oven or wrap them in pieces of dough to make pigs in the blanket. 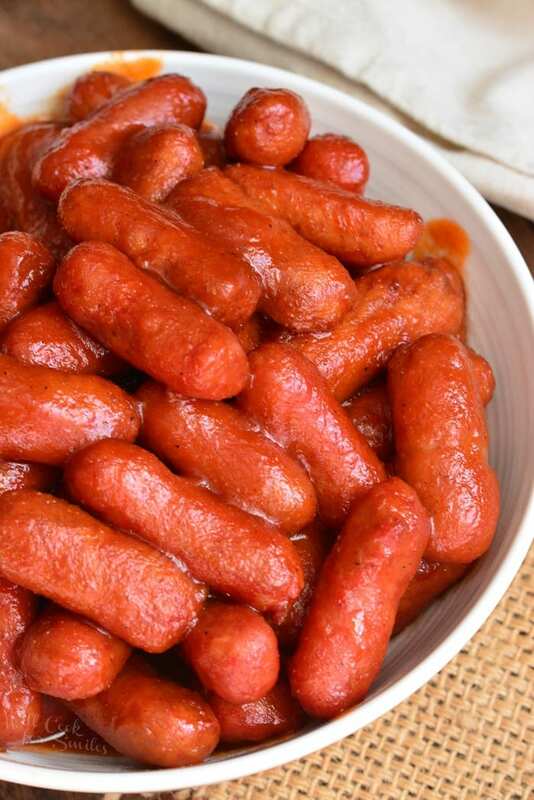 Little smokies are so much tastier in Pigs In A Blanket appetizer than Vienna sausages. 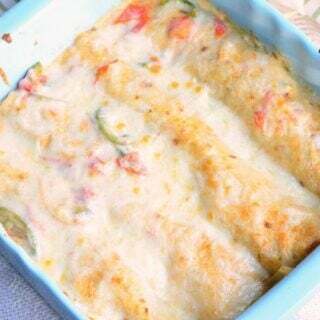 This truly is one of the simplest and tastiest appetizers you can serve at a party that will satisfy everyone. 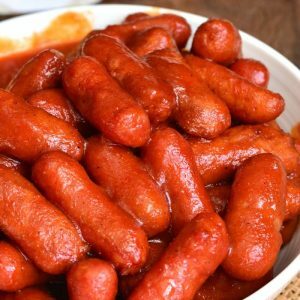 If you don’t want to make these BBQ little smokies on stove-top, you can simply throw them in the Crock Pot. First, combine ingredients for the sauce in the Crock Pot and whisk it together. 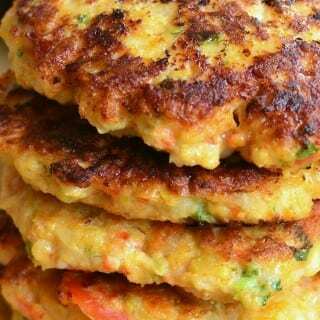 Add sausages but not the juices that they are packed with to the sauce and stir well. Cover and cook on high for about 2 hours or on low for about 4 hours. You can always set the Crock Pot to warm setting after sausages are cooked and serve it at the party right in the Crock Pot. 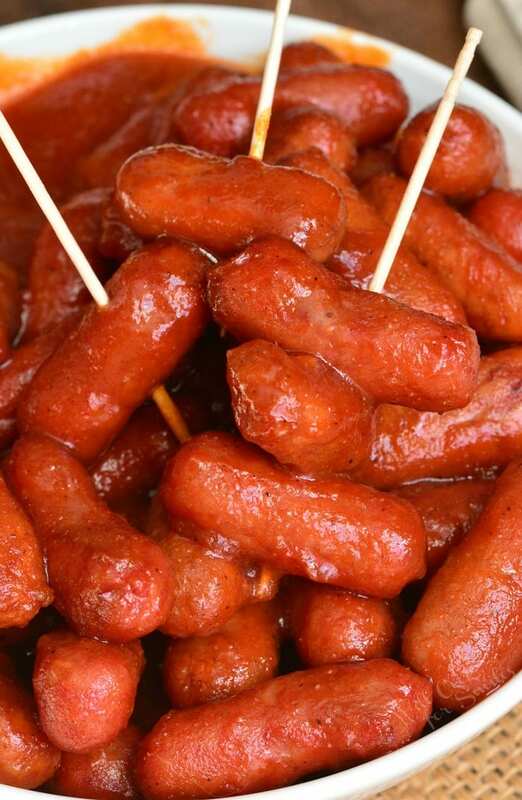 These little sausages are to tasty and simple cooked in a homemade BBQ sauce. 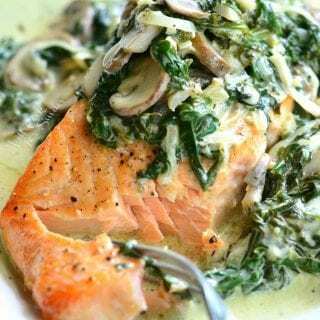 Make it quickly and easily on stove-top or in a crock pot. Combine ingredients for BBQ sauce in a medium sauce pot, gently whisk until smooth. Set heat to medium. Stir everything well and simmer over medium heat for about 20 minutes. Stir often. Combine BBQ sauce ingredient in the Crock Pot and whisk together. Add little smokies sausages to the sauce but not the juices in the package. Cover and cook on high for about 2 hours or on low for about 4 hours. You can serve them right in the Crock Pot. Double the recipe if needed.